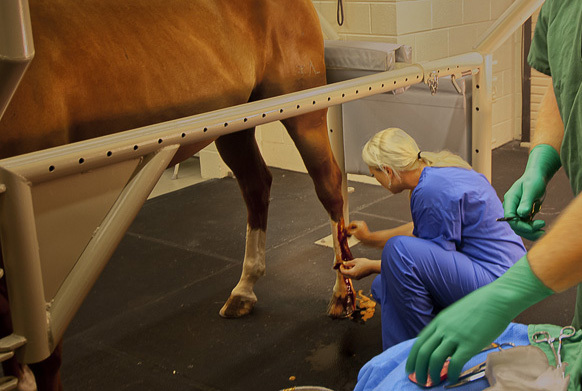 We are capable of performing brief or extensive lameness and pre-purchase exams at the hospital or on the farm. 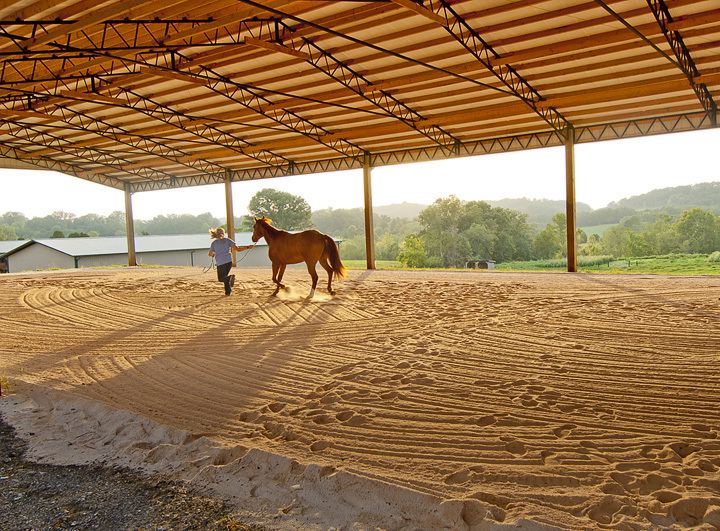 Our hospital has a large covered area filled with silicone-coated sand that is perfect for evaluations in inclement weather. Our digital radiography systems allow us to take high quality images for evaluations. Our two DR digital radiography systems allow the veterinarians to view the images immediately after they are taken. Extracorporeal shock wave therapy uses powerful sound waves to speed the healing of many types of orthopedic and soft tissue injuries and conditions. This non-invasive treatment is performed standing under light sedation. Shock wave therapy can be used to treat joint inflammation and pain, tendon injuries, muscle tears and strains, navicular syndrome and osteoarthritis. Digital radiography provides high quality, high contrast diagnostic images. All of our digital radiography systems provide almost immediate images, reducing stress on our patients. This technology also allows to quickly share radiographs with clients or other veterinarians through e-mail or saved on a CD. Our two DR digital radiography systems allow images to be viewed almost immediately … even in the field. Digital ultrasound provides high quality images for evaluating tendons, ligaments, joints, soft tissue structures, and ultrasound guided injections.